Two hundred years ago in 1808 Spain, with the help of Britain, won a decisive battle within the Peninsular War against Napoleon Bonaparte‘s France. After the French army’s defeat at the Battle of Bailén (Baylen), the captured army was first marched to Cadiz, with many harassed and murdered on the way. Some 9 – 10,000 soldiers of Napoleon’s army were eventually moved in 1809 to the island of Cabrera, including some 20 females, whilst others, mainly officers and the higher ranks, were kept in Palma’s Castell de Bellver. Amongst the prisoners, there were also some 1,000 captives of other nationalities, such as German, Polish, Belgian, Italian and Swiss. The internment lasted for five years until finally an armistice agreement was signed between Spain and France after Napoleon had abdicated in 1814. Most prisoners did not survive their ordeal, though, with only the clothes on their backs, no shelter, insufficient fresh water, and no food supply other than the meager rations dropped off intermittently by the Spanish. Some 100 internees managed to escape from the island prison, at most. All but 3,500 prisoners reputedly died of starvation, typhoid and other diseases between 1809 and 1814. 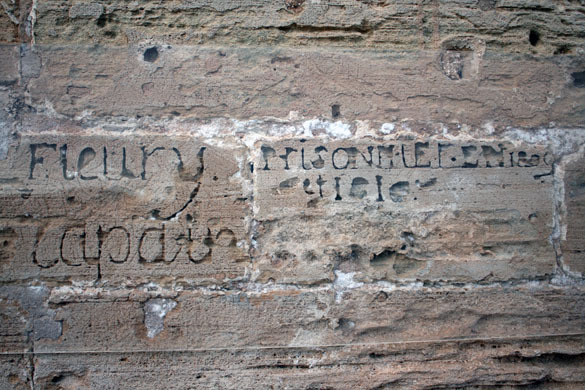 On a wall of the Castell de Cabrera one can read an inscription left by French prisoners, Fleury Grapain prisonnier 1809 et 1810 (see photo top). The Fundación La Caixa in Palma’s Grand Hotel currently offers a small exhibition under the title Olvidados en Cabrera examining the plight of Napoleon’s troops and their wretched conditions. 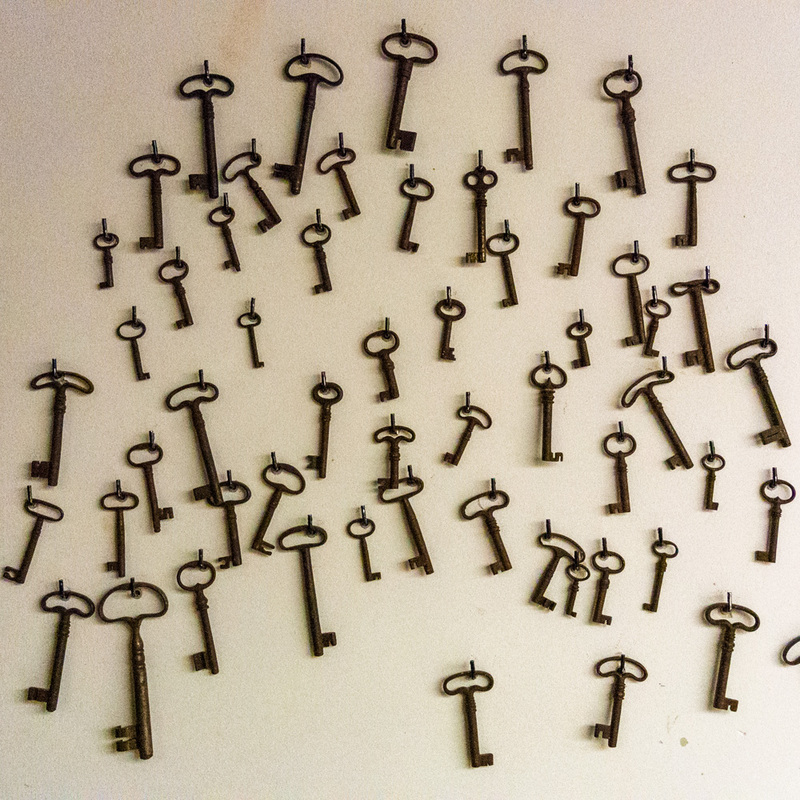 The exhibition continues until January 18th, 2010. Admission is free. A visit is recommended. 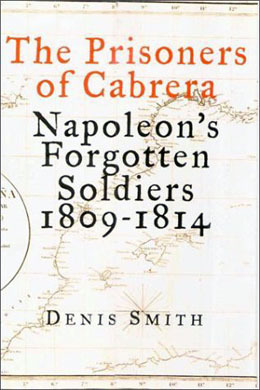 If you want to know more about this sad episode, I would recommend a read of Denis Smith‘s book, The Prisoners of Cabrera: Napoleon’s forgotten soldiers 1809-1814, published by Four Walls Eight Windows, New York. Denis Smith is a professor emeritus of political science at the University of Western Ontario in London, Ontario (Canada). The author made use of French, British, Spanish and Mallorcan sources for his thorough volume, including archival records. The book was also published in Castellano and Catalan editions, just in case you want to know. Both photos were borrowed from the Internet. 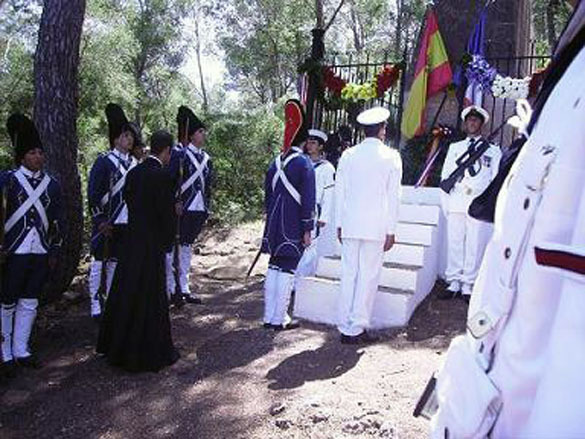 The photo (top) is credited to obrasocial.lacaixa.es, the photo (centre) was taken in Cabrera in May 2009 during a ceremony commemorating the 200th anniversary of the prison camp, and is published courtesy of ambafrance-es.org. Muchas gracias, and merci beaucoups.